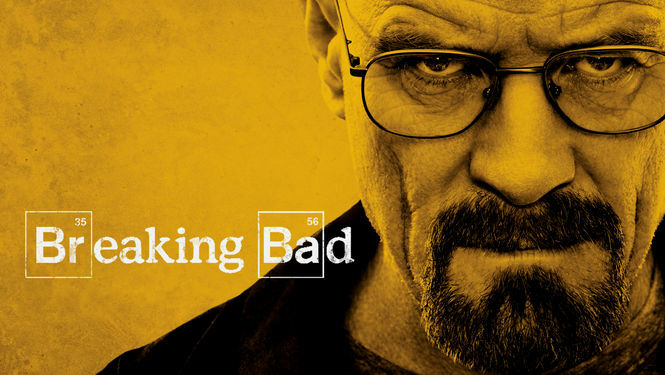 I have spent a good chunk of my winter break (about 36 hours) watching Breaking Bad, from the pilot all the way to the end of Season 4. I have eight more episodes to go before I am caught up. It is a brilliant show that is unusual – and extraordinary – for television. For many years, television shows were broadcast on only a few major networks, subject to restrictions and guidelines. But the game is changing. Over the last decade, HBO, AMC, Showtime, and others have pioneered a new form of television, where stories are less black-and-white and more complex – TV is now, I think, engaged to a smarter audience. AMC has done the same with Breaking Bad, and it is no surprise why many consider it to be the best television show of all time. HIMYM is just a fun and quirky show that I look forward to every Monday night. It features a great cast, smart story-telling, and solid laughs. I have been watching the show for such a long time that I feel like I am friends with Ted and Lily and Marshall and Barney and Robin. They don’t feel like actors to me. Fringe is the only show in the top 5 that I have followed from the beginning. I remember watching an advertisement for the show during the 2008 All Star Game at Yankee Stadium and thinking to myself – well, that looks pretty cool. The show has become so much more than it was at the beginning, growing from a thrill-of-the-week mystery to an epic mythological beast with alternate universes and time-traveling and shape shifters. Oh, the shape shifters. It sounds corny, but the producers do a great job of making it feel very real. And very funny. Walter Bishop is one of the best characters of all time. An awesome cast (Seth Rogen, Jason Segel, James Franco, and others) that is, perhaps, the most realistic depiction of high school in the history of television. It is funny, awkward, and features some awesome music (seriously – check out the soundtrack). It is a shame that the show only lasted for one season. If you have some time to spare, I recommend checking out Judd Apatow’s oral history of Freaks and Geeks, which recently appeared in Vanity Fair. I could write an entire post on LOST (and let’s be honest, I probably will at some point). It is, simply, an awesome television show. For my money, The Constant is the best hour of television ever produced. And Michael Giacchino’s score is truly epic. But what makes LOST my favorite show of all time is how much we all talked about it. There was a time in high school where LOST took over our lives – and it was the best thing that ever happened. Entire lunch periods were spent talking about the show’s mythology and trying to predict what would happen next. Serious fights would ensue over the smallest of details in the show. We had a Wednesday Night LOST Crew where we would swap houses each week to watch the show – it was like the Superbowl to us. Snacks would be served. There are a handful of things that I will force upon my future children. Yankee baseball is one of them. Harry Potter too. And LOST.